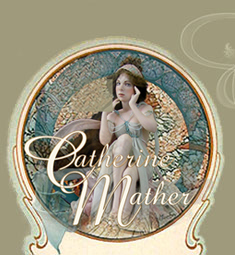 Welcome to Catherine Mather's porcelain dolls web site. You will find many types of dolls from the ever popular Victorian Dolls, Fantasy Fairy Dolls, Child Dolls, Sophisticated Lady Dolls, Fashion Dolls, or even the Lovely Art Dolls. Made in full porcelain these limited edition dolls are made to capture a story in spellbinding beauty. Lovingly sculpted, designed and crafted by Catherine Mather each one is a beautiful tribute to the human form. Catherine sculpts from the heart; in that alone, each porcelain doll speaks volumes for the craftsmanship and effort that is infused into each porcelain doll. You are invited to enter the mind of the artist, capturing detail hidden beneath the complex beauty of each of these lovely porcelain dolls. Notice if you will, how each doll seems to hold herself in quiet reverence. You will also find that each doll is made from the heart of this talented artist, Catherine Mather. Copyright 2006 Catherine Mather. All images are copyright. All rights reserved.